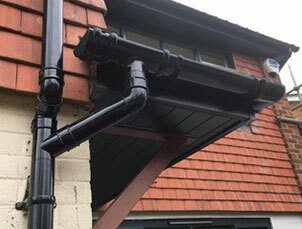 For almost four decades, our team of highly-trained and experienced roofers have been providing the people of Surrey with first-class pitched and flat roof repairs, as well as chimney repairs, soffits and fascias, Velux roof windows replaced and fitted plus a whole host of other services. From new roof installations to roof repairs, A P Benson Roofing & Building is recognised as one of the best roofing companies in the county. Roof repairs are our speciality, from repairing storm damage, to replacing missing tiles, or cleaning the moss off to revitalise the look of your roof, our roofers are always equal to the task. 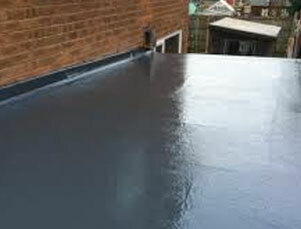 Flat roofs present their own unique challenges, which some roofing companies are unable to take on. At A P Benson Roofing & Building, we are equally at home with pitched and flat roofs alike. 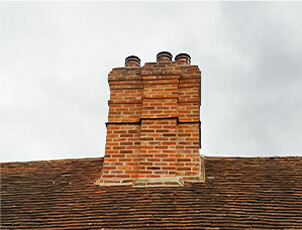 Whether a working chimney or purely decorative, we can affect all manner of chimney repairs, leaving behind a neat, clean, and safe chimney stack. Joining your roof to the main body of your house, soffits and fascias are often overlooked when it comes to roof maintenance. Our team of roofers are able to repair or replace damaged soffits and fascias, or install brand new ones, if you’re looking for a change. 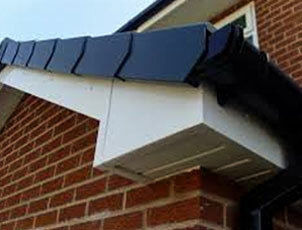 Failure to maintain or repair guttering can lead to significant problems both internally and externally. 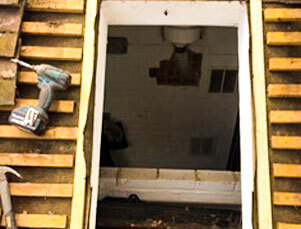 Sagging gutters can lead to water leaking onto external walls causing damp and structural issues. 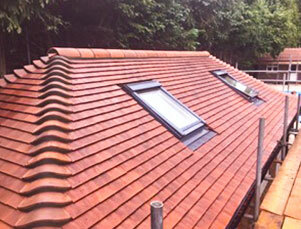 Based in Guildford, our team of roofers cover a wide area of our native Surrey. This includes our thousands of satisfied customers living in Woking, Chobham, Godalming and Farnham, as well as Guildford itself. We have traded continuously since 1980, providing our clients in Farnham, Chobham, Woking, Godalming, and beyond with a high standard of roof repairs unmatched by any roofing companies in the region. Our team of professional roofers have more than a century of relevant experience between them that they bring to all roof repairs. 01483 760 444 for your free quote. If you’re after soffits and fascias, chimney repairs, or pitched or flat roof repairs, call A P Benson Roofing & Building today on 01483 760 444 for your free quote. Lower Westfield Farm, Robin Hood Lane, Sutton Green, Guildford, Surrey GU4 7QG.